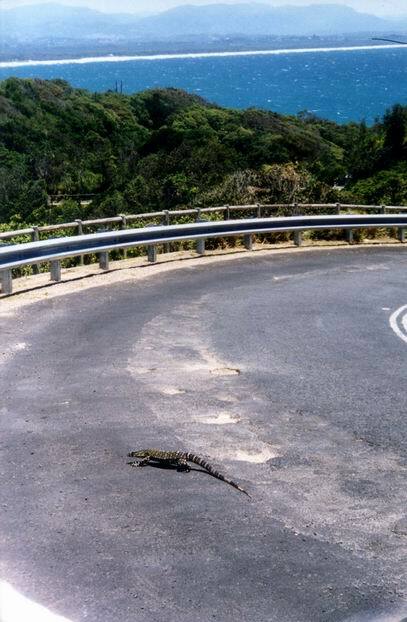 About 1 m long lizard, slowly moving to the side through hot road surface at Byron Bay lighthouse. The largest lizard I have seen in Australia. Byron Bay : Good woman wanted.